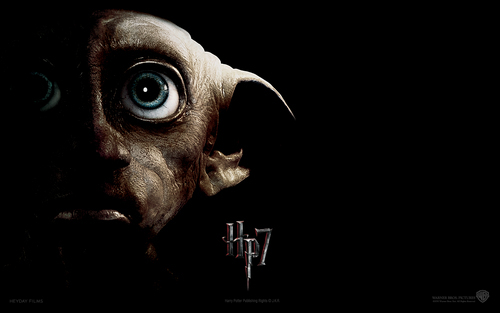 Dobby DH. . HD Wallpaper and background images in the Harry Potter club tagged: harry potter deathly hallows dobby. y is ther a pic of that STUPId little elf on here he could of killed me!! !